Nancy Pelosi and the Democrats believed they finally found the silver bullet to take down Donald Trump. Defeating Trump on the border wall fight would fracture the President’s base and send his Presidency into a death spiral. But then this new poll left Nancy Pelosi at a loss for words after delivering the Democrats some really bad news. Fake news reporters, Democrats, and Never-Trump Republicans pushed the narrative that the government shutdown and Trump’s push for a border wall were political losers. They cited an Associated Press/NPR poll that showed Trump’s approval rating had dropped to 34 percent. But that poll appears to be an outlier. Both NBC and Fox News polls found Trump’s approval rating unchanged from before the shutdown. That wasn’t even the worst news for Democrats. 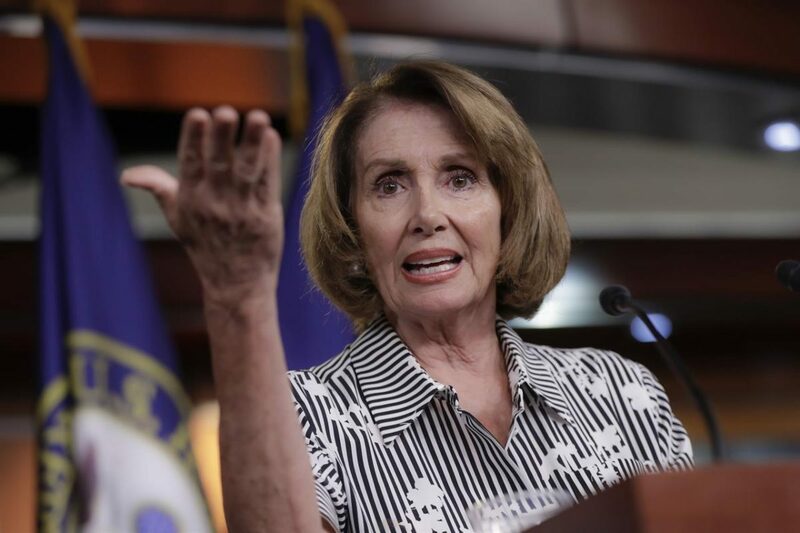 The most devastating blow to Pelosi’s strategy of 100 percent obstruction came in the form of a poll from Public Opinion Strategies. The pollsters sampled ten districts that provided a cross-section of the electorate. These ten districts were significant because Trump carried them by big margins in 2016, but all ten flipped to Democrats in 2018. 61 percent of the voters surveyed supported Trump’s border security policies. 53 percent of voters in these Democrat-held districts back Trump’s border wall. By a 50-43 percent margin, these voters also believe Democrats should have accepted Trump’s compromise of three years of protection from deportation for so-called DREAMers and TPS recipients in exchange for 5.7 billion dollars in border wall funding. These poll numbers could explain the growing fissures in the Democrat Party. Even House Democrat leaders like Caucus chair Hakeem Jeffries and Majority Leader Steny Hoyer back some form of border fencing. At first, Jeffries attacked a strawman – Trump is not – and never has – proposed a 2,000 mile long border wall. That’s because the terrain in certain areas of the border – like where there are mountains and rivers – are not possible to cross or build a wall along. But Jeffries let it be known that Democrats are open to Trump’s request for a border barrier where it makes sense. “I don’t want to get out ahead of the negotiators who have been appointed to the conference committee, but I think we’ve consistently said we do not support a medieval border wall from sea to shining sea,” Jeffries began. Steny Hoyer previously broke with Pelosi on this issue during the government shutdown. As negotiations get underway, expect more Democrats to try and rhetorically finesse how they talk about their support for a border wall. That’s because Democrats are realizing that if they want to hold onto the districts Trump carried in 2016, but voted Democrat in the 2018 midterms, Pelosi’s absolute opposition to a border wall is a sure loser.